Cherrie from Willy-Wagtail left a nice comment in response to my secret shame post yesterday. 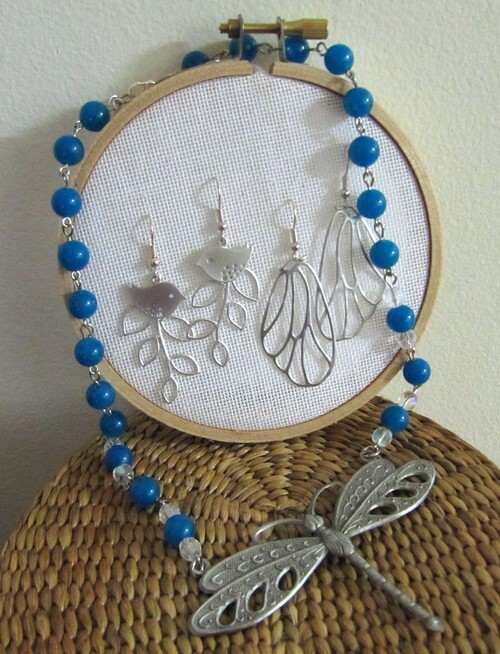 Today some jewellery bits and pieces I ordered last week arrived and rather than put them away until my sewing room is clean, I remembered Cherrie’s comment, gathered up my supplies and pottered away at the kitchen bench. I’ve seen little birdie earrings all over the place of late. Given their prevalence I thought the charms must be available somewhere – a quick search on etsy yielded the birdies and the leaves behind them. I love these! Wings. A bit macabre? I haven’t decided, but they do look great on. 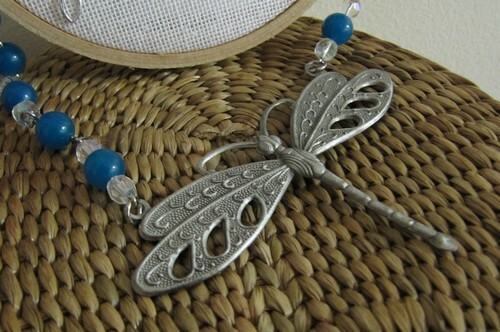 These are larger than the bird pair and will work well with outfits that don’t suit a necklace. Whipped up a necklace out of existing supplies while I was still on a creative roll. Inspiration struck while looking for something to photograph them on. 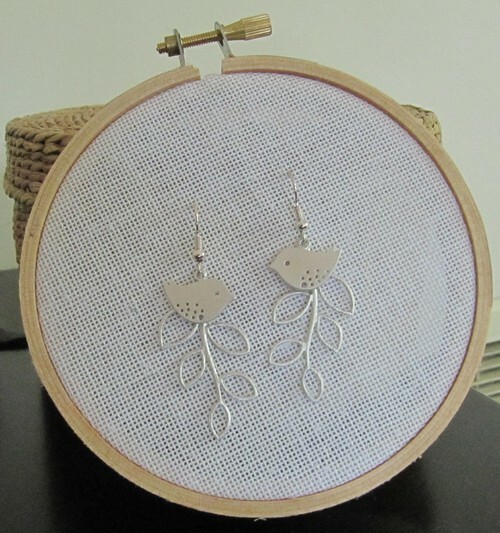 I’m sure embroidery hoops as earring displays have been done many times before although I haven’t seen it. 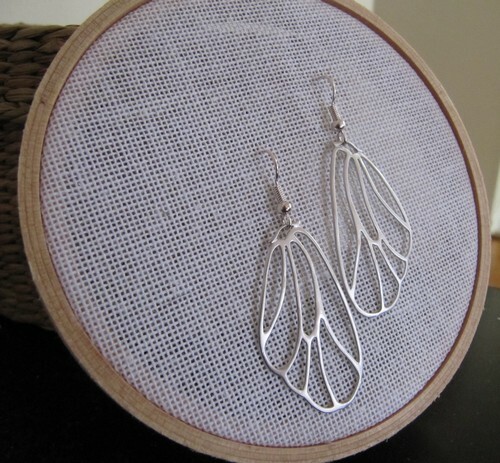 I’m so fond of the effect that I think I’ll hang a large hoop in my bedroom for all my silver earrings! It feels good to have actually made something of late! Wow, they are gorgeous :) The little birds and the dargonfly are my favourites! I don’t think the wings look macabre at all, I agree with Essie, they look very elegant. Love those! I’ll be heading to the bead shop for supplies now too. I think they’re all lovely- the wings bring ‘gossamer’ to mind which is a beautiful word and not at all macabre. I love your earring display idea too. Clever you!